to automatically generate the right vacuum level within the tested component during the test. The test nR Box comes with an Android tablet that contains a powerful software to automate the test. The Software is protected by a 5-digit code . You have the option to set the access operators. Each element is battery operated and can be charged via the supplied charger. 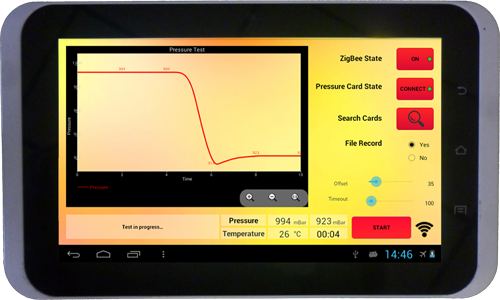 Communications between the tablet and the device are secure and wirelessly with ZigBee protocol. The equipment can be used wirelessly for needs that require mobility and flexibility. 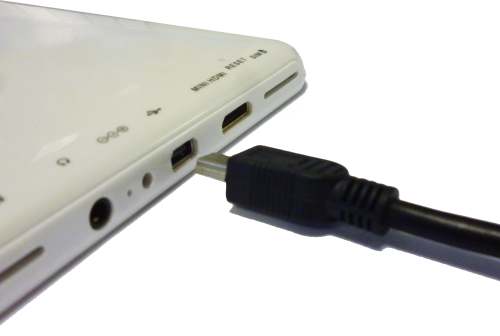 The test results can be saved on an external device, such as a USB stick. Used to display the sensors’ measurements on the tablet in real time. This mode is used to perform an nR pressure test, read the sensor values and save the results. Check whether your ATEX components are properly sealed with the nR Box by CentrExpert!